Cervical Cancer-Free Texas joined CCFA in April 2011. The initiative is led by researchers at The University of Texas School of Public Health who have experience developing and disseminating programs to prevent and control cervical, breast and colorectal cancers. CCFTexas goals are to increase cervical cancer screening with the Pap test and to increase initiation and completion of the HPV vaccine series, thereby reducing or eliminating cervical cancer in Texas. To accomplish these goals, a statewide network of partners has been developed including healthcare systems, cancer centers, providers, community groups, agencies, and policymakers. CCFTexas will work through existing organizations to ensure sustainable changes in healthcare systems and policies. 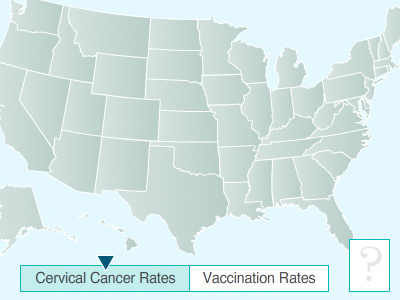 Cervical cancer incidence and mortality rates in Texas are currently higher than for the United States. Rates for Hispanics and African Americans are higher than for other groups in the state. The teen-age pregnancy rate, a marker of exposure to HPV, is also higher in Texas than it is in the United States. For more information on Cervical Cancer-Free Texas, please contact Sally Vernon at sally.w.vernon@uth.tmc.edu. Erica Lipizzi is Project Director for the Cervical Cancer-Free Texas initiative. She received her MPH in Behavioral Sciences and Health Education from Emory University’s Rollins School of Public Health, and her BA in Psychology and Health Promotion from American University. She has several years of experience in research project coordination and management. Sally W. Vernon, M.A., Ph.D., is Director, Division of Health Promotion and Behavioral Sciences and Professor of Behavioral Sciences and Epidemiology at The University of Texas-Houston School of Public Health. She also holds the Blair Justice Professorship in Mind-Body Medicine and Public Health. Dr. Vernon’s training is in behavioral sciences and epidemiology. She received an M.A. degree in sociology from New York University, and a Ph.D. degree from The University of Texas-Houston School of Public Health. Dr. Vernon’s research has focused primarily on cancer prevention and control with an emphasis on cervical, breast and colorectal cancers. She has evaluated factors related to cancer screening adherence and has developed theory-based interventions to increase regular screening. Her work has been conducted in community, work site, and medical care settings. Maria Fernandez is an Associate Professor of Health Promotion and Behavioral Sciences at the University of Texas School of Public Health, and Associate Director of the Center for Health Promotion and Prevention Research. Her research and intervention efforts focus on cancer prevention and control among low-income and minority populations, and dissemination and implementation of evidence based programs. She is the PI for LINCC, Latinos in a Network for Cancer Control, a Cancer Prevention and Control Research Network (CPCRN) that focuses on accelerating the use of evidence-based cancer control in Hispanic communities. She is also a PI on Reducing Cancer Disparities among Latinos in Texas, an NCI-funded Community Network Program (CNP).